Field Trip: Nepenthes at the Conservatory of Flowers |Sundews Etc. I've posted several times about how much I love the UC Botanical Garden. Another of my favorite plant destinations in the Bay Area is the Conservatory of Flowers in Golden Gate Park. 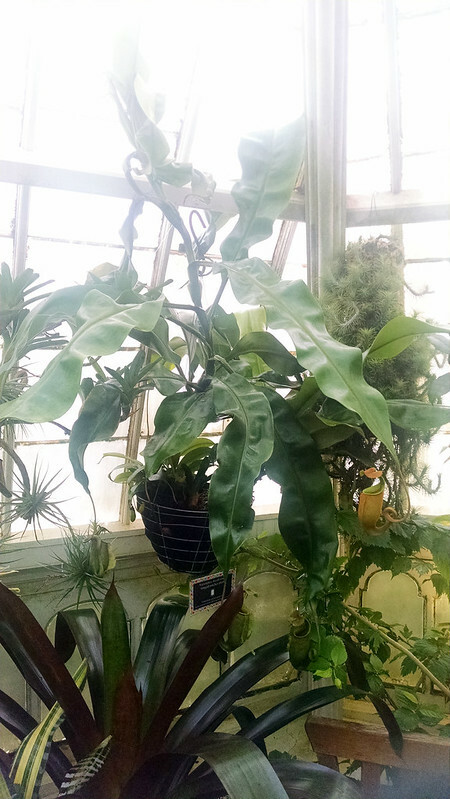 It's a big 19th century glass greenhouse that contains a stunning collection of tropical plants, including the largest Philodendron in cultivation, a 100+ year old specimen that is the centerpiece of the Tropical Lowland room. I always forget to take a picture of the conservatory itself when I visit, but here's a decent example from Wikimedia. 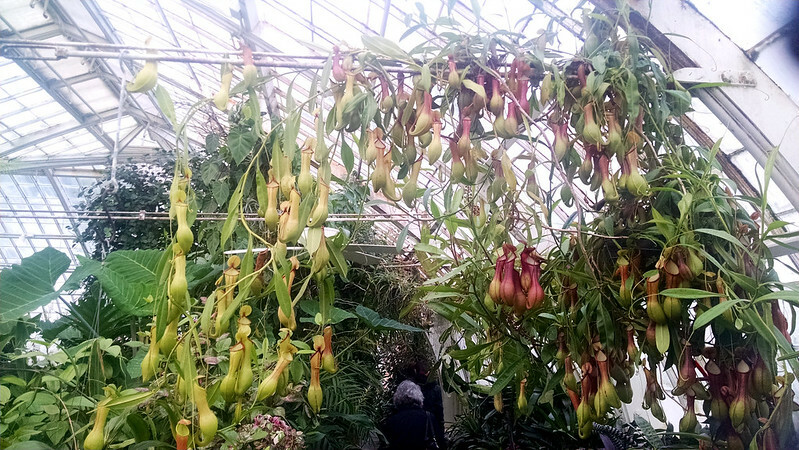 The Conservatory also hosts a delightful collection of Nepenthes. I decided to document some of my favorites on my most recent visit, since I don't feature that genus much on the blog here. One note: plants at the Conservatory aren't always labeled super well. A few of these I knew offhand, a couple I made educated guesses about, and a few are NOID. Please comment with a correction if you know more than me! 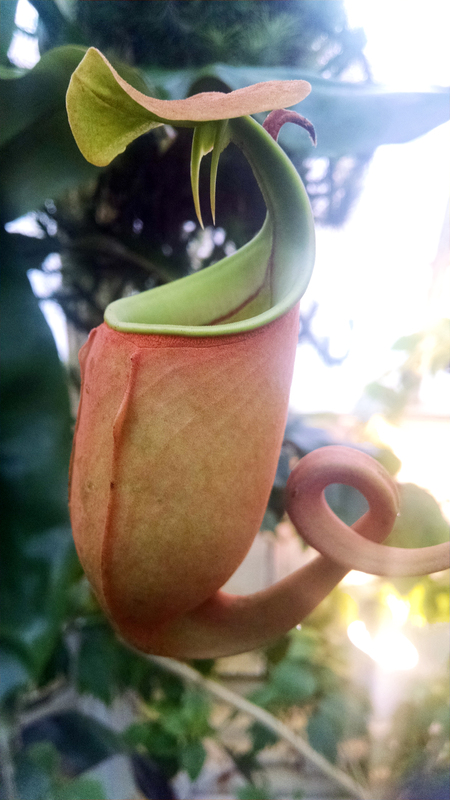 This NOID (I suspect perhaps Nepenthes ventricosa x alata, i.e. 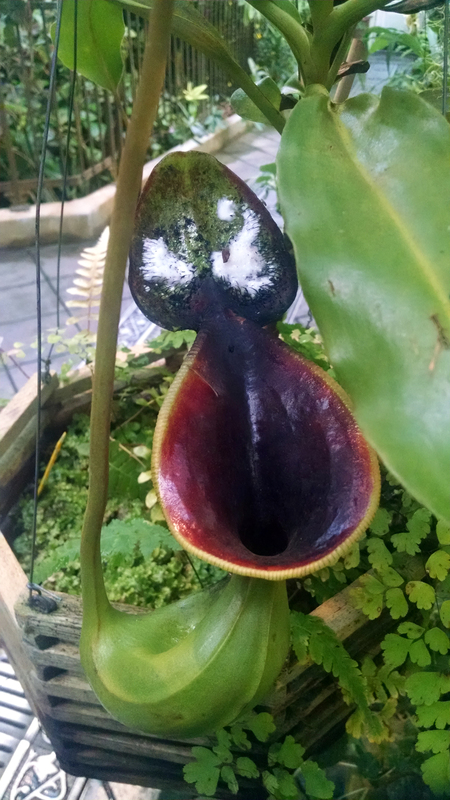 N. ventrata) is what made me realize I should start taking pictures. 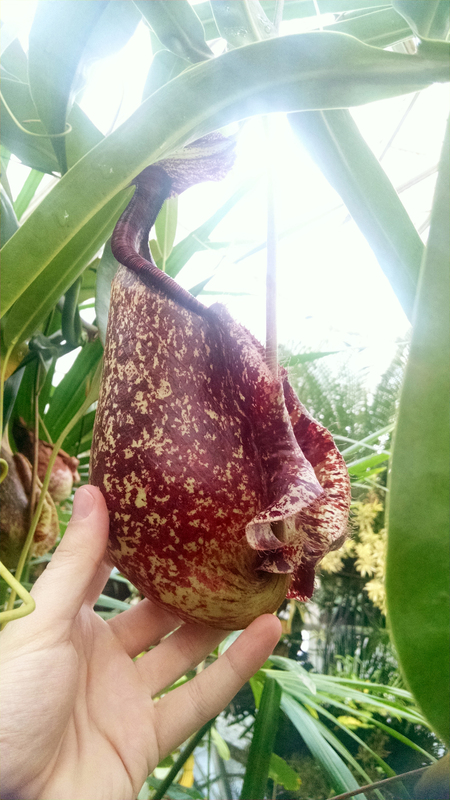 Lovely coloration and pitcher shape on this plant. The vine was also really impressive. The average hobbyist greenhouse owner probably couldn't afford to devote this much space to one plant, but it makes for a wonderful display. Probably 100 pitchers on this plant? Fantastic. 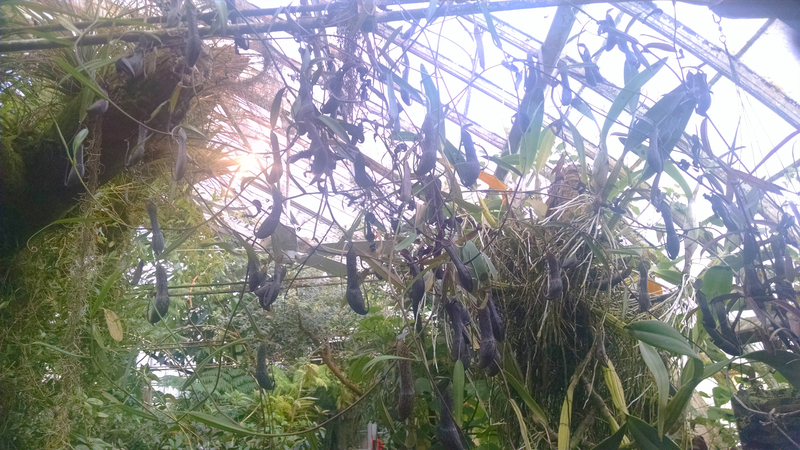 These pictures are from the Aquatic Plants room, which has a large pond and hosts a lot of epiphytic species. It has lowland to intermediate conditions. I think I had a guess about this species but I can't remember anymore. 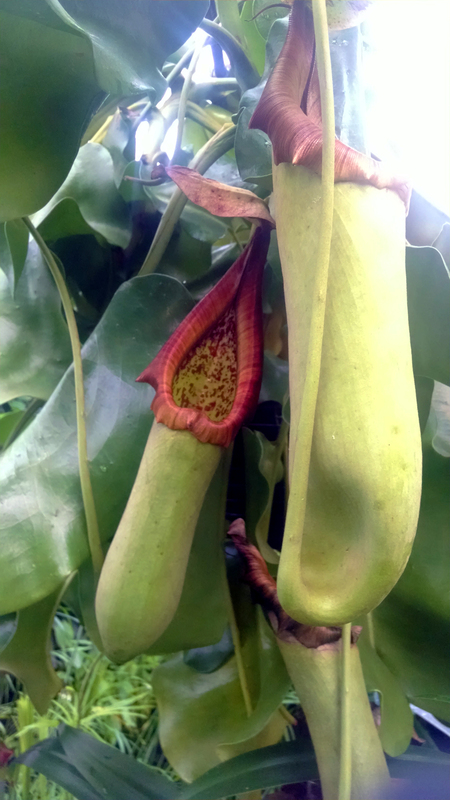 Some of these Neps are huge, such as the following Nepenthes truncata and Nepenthes rafflesiana. 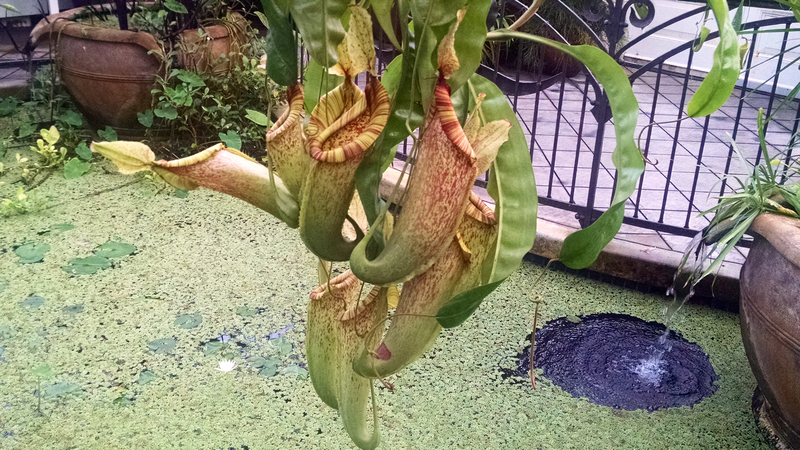 These pitchers are like, 18 inches (45 cm) long. I love these fat pitchers. Great coloration too. 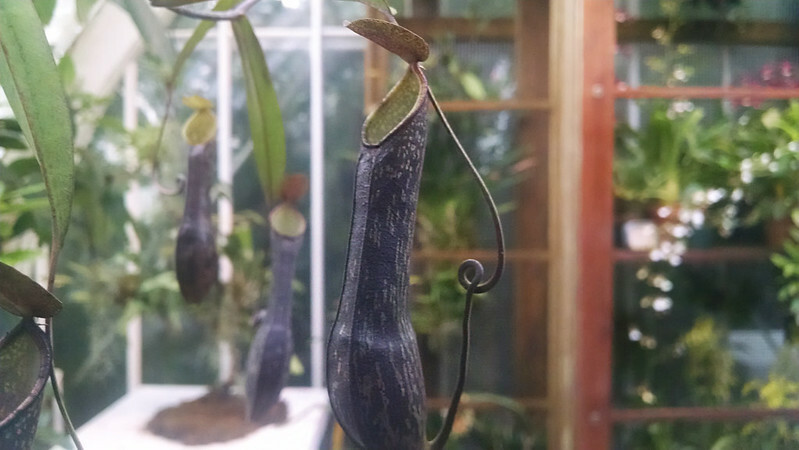 Other are just perfectly formed, like this Nepenthes ventricosa that's almost popped its top. It looks like it's smiling. Or this Nepenthes bicalcarata, which has one of the most perfect pitchers I've ever seen. Those fangs are so distinctive. Love the orange and green too. Bicals are the largest Nep by total mass, which is clear from this vine. This plant is like an old friend of mine I like to visit. 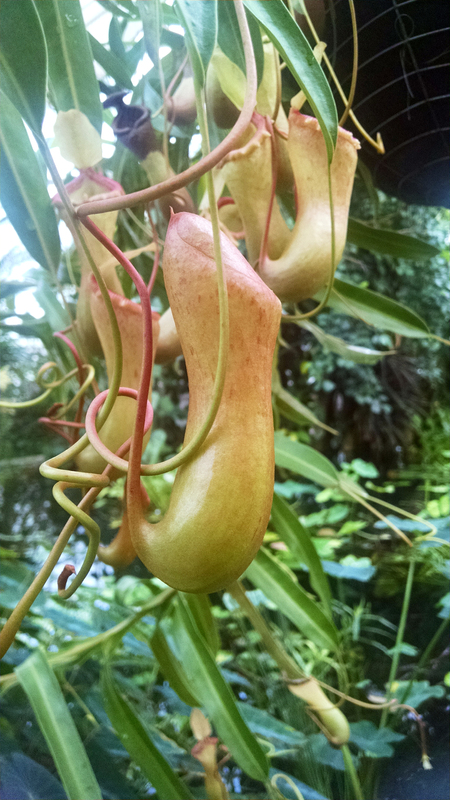 The nearby Tropical Highland room hosts a couple of more delicate species, including this lovely Nepenthes mikei and its vine. 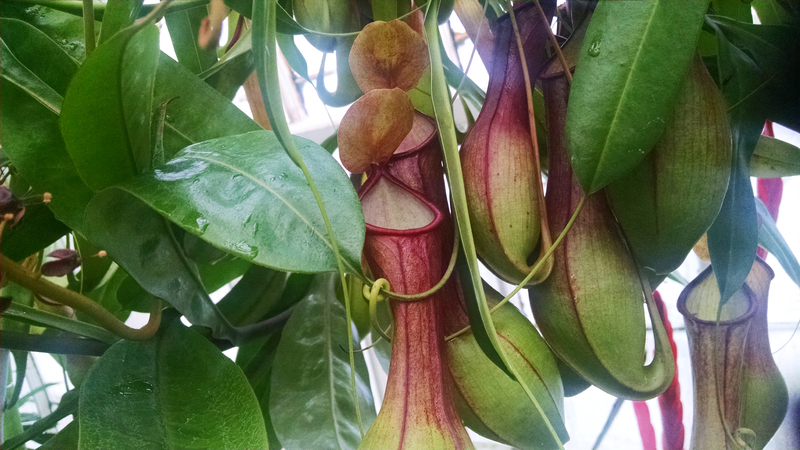 These upper pitchers are so fine and delicate. Another great vine, although somewhat more modest than the one in the Aquatic Plants room. And this beautiful Nepenthes lowii, sporting a big fat patch of crystallized nectar. That nectar patch looks so inviting. If only I were a shrew. N. lowii has such a distinctive shape. If I ever start growing highlanders this one is high on my list. 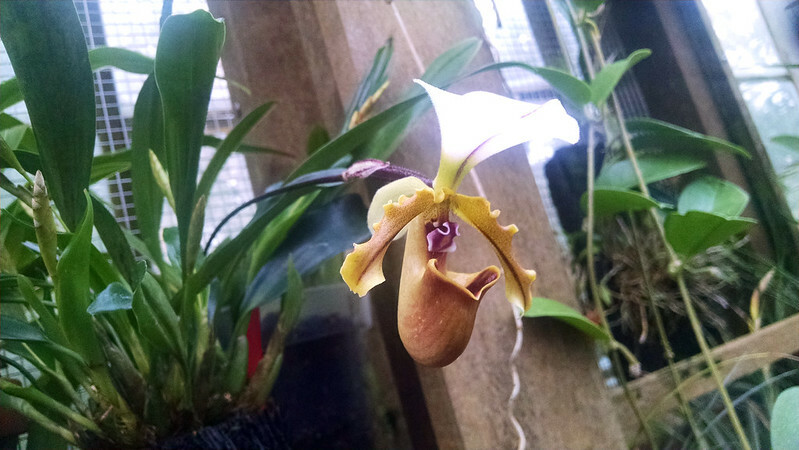 A few other (non-carnivorous) plants caught my attention that day, and I couldn't not share them with the blog. Such as this insane hibiscus flower. This is in the Potted Plants room. I had to include my hand for scale. 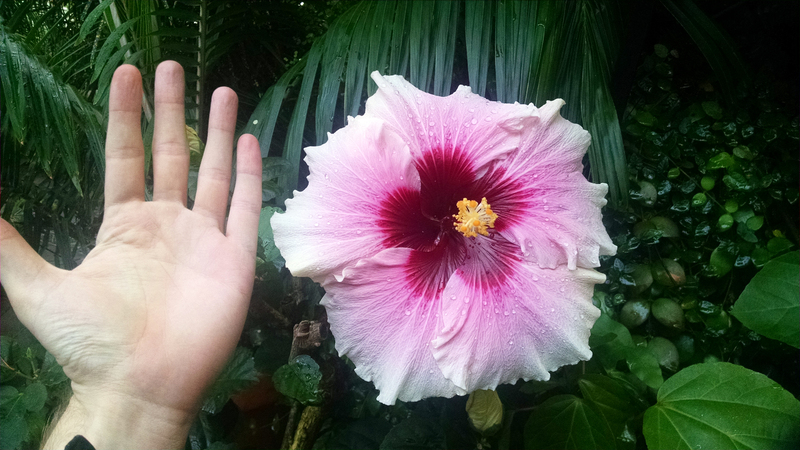 The flower was enormous. I love that lantern-jawed look. Paphs are so funny looking. 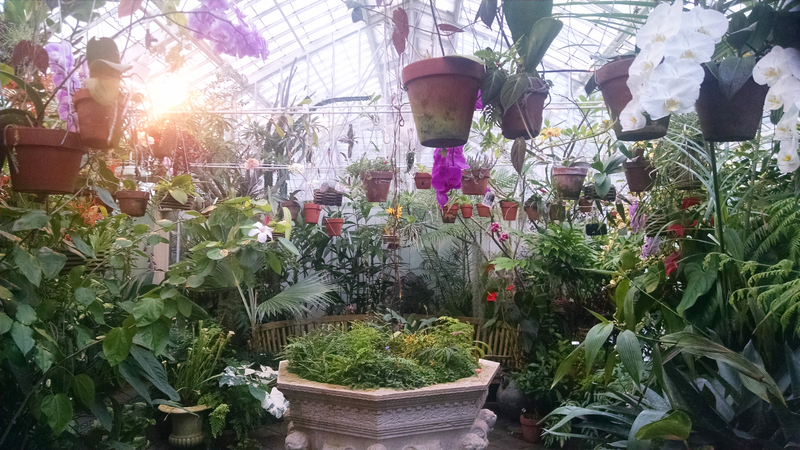 In conclusion, the Conservatory of Flowers is super awesome. 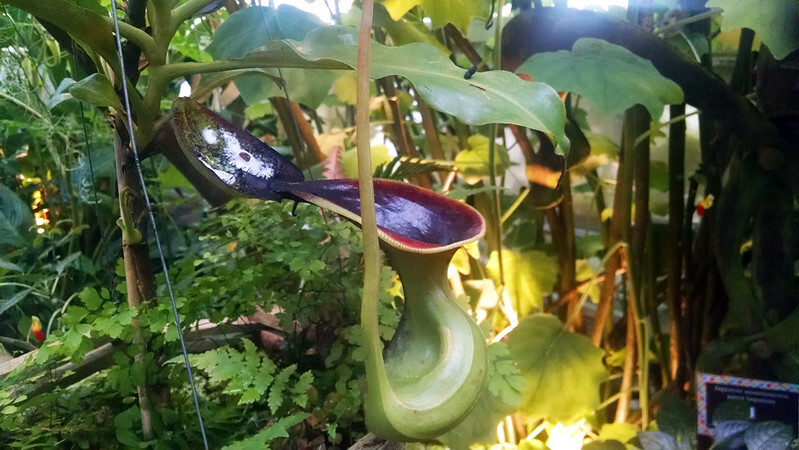 It's a fantastic place to visit if you're ever in the Bay Area, and are keen on weird plants. The Potted Plant room is really magical. Thanks for the ID help. And yes, I love that N. mikei. fantastic collection... the orchid flower is so unique.. Thanks for the wonderful post, really lovely pictures.